Nokia’s Android smartphone could hit the stage later this month at Mobile World Congress in Barcelona, The Wall Street Journal reports citing its anonymous sources. Rumors surrounding the alleged Nokia Normandy first surfaced after Microsoft announced its plans to buy the company’s mobile device business, while a series of subsequent leaks showed a colorful plastic handset running a forked version of Android that’s heavy on Microsoft services. Those apps allegedly include Mix Radio and HERE Maps and Nokia will reportedly install its own app store for downloading Android apps. That may suggest Google Play isn’t in the cards for now. The Finnish company sent out a vague invitation for its MWC press event last month, asking us to meet “under the tree.” At the time we guessed Nokia would use the event to unveil its rumored 5-inch 1080p Lumia Icon running Windows Phone 8, but it looks like the press conference may focus on its Android efforts instead. We honestly doubted the Nokia Normandy would ever see the light of day, but WSJ is a pretty reliable source. There’s still much we don’t know about the device. Will it be the rumored entry-level handset or a beefed up flagship? 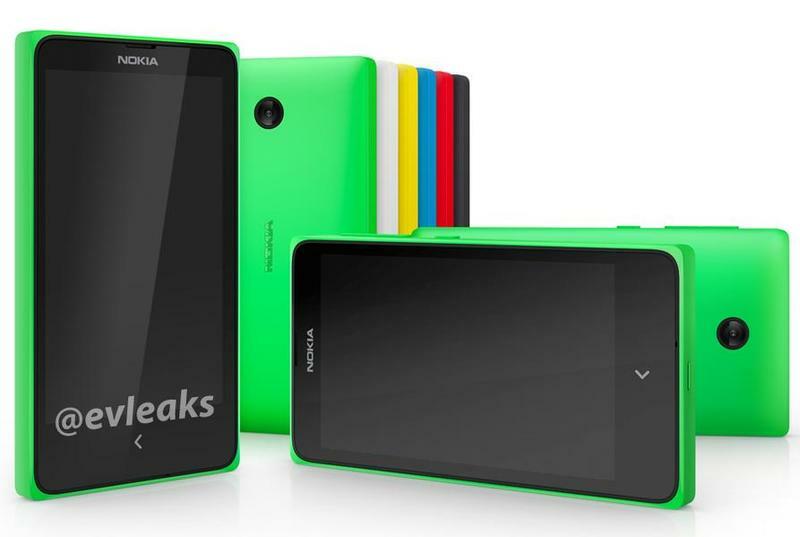 Will it be called the Nokia Normandy, the Nokia X or another name entirely? If WSJ’s sources are right it won’t be long before we know the truth about Nokia’s mysterious smartphone.